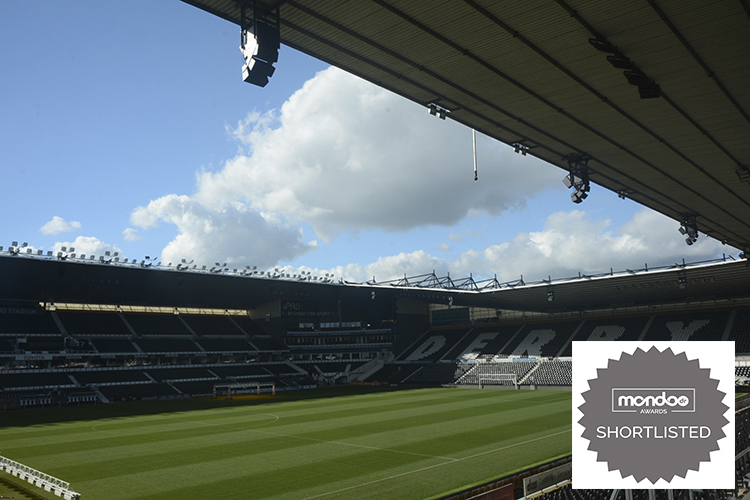 Home to Derby County Football Club (DCFC), the 33,000+ capacity Pride Park Stadium now offers a concert quality, compliant, and simple to use sound reinforcement system that will be easy to maintain and modify as the venue’s needs change in the future. While its primary purpose is to deliver crystal clear speech for safety reasons, the club’s new system delivers a level of musicality for that fully immersive party atmosphere. The new system relies on a redundant secure network designed within the club and was installed by DCFC’s own maintenance department, and installation partner Central & County Closed Circuit (CCCC). Within the bowl twenty two clusters of the V-Series Vi loudspeakers realize the design brief for sound pressure levels, musicality and Speech Transmission Index (STI). The impressive pattern control of the 3-way passive Vi point sources freed the team from pursuing a line array solution, which would have meant a greater number of loudspeakers, amplifier channels, and subsequent cost. With maximum utility in mind, the current draw of the four channel, installation specific 30D amplifiers, and flagship D80s, enabled the club to achieve its targets for sustainability and efficiency in both idle and driven states. Weather resistant and air conditioned amplifier racks are mounted on the stadium roof and monitored for temperature and humidity. 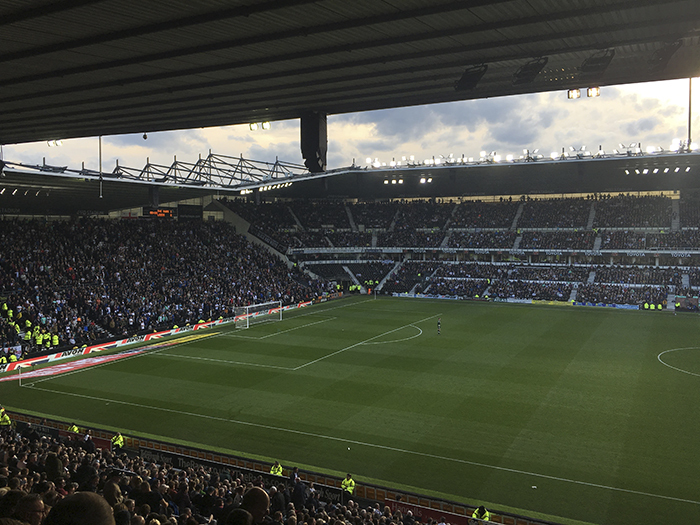 Integrated to a Q-SYS backbone – a key requirement of the upgrade – the system serves both Public Address and Voice Alarm (PAVA) needs; in addition, RH Consulting ensured the system met all the required national and European voice alarm standards, making Derby the only UK stadium compliant, to the letter, with FIFA standards. RH Consulting liaised with the local council and provided all the licensing and safety documentation, which was approved without question. 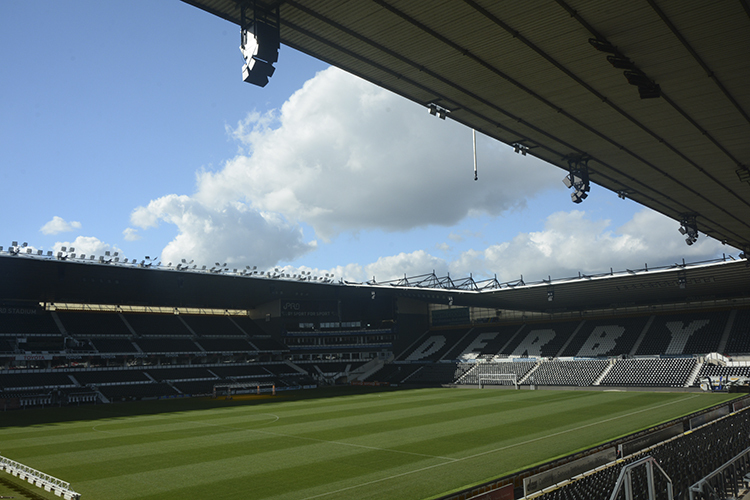 For Derby’s Stuart Fisher, the benefits of taking a bespoke approach are clear: “In terms of achievable sound quality for the stadium, the d&b system exceeds expectations. 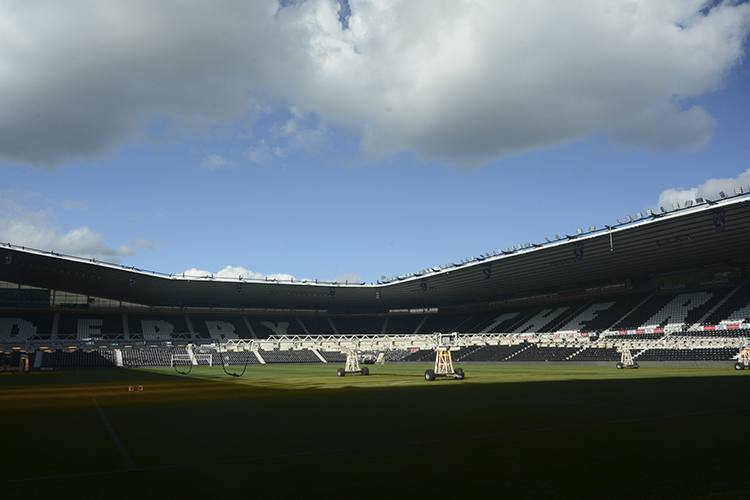 When RH Consulting signed off, the measurement for voice evacuation was the highest value of any stadium recorded in the UK with a STI score reaching up to 0.74 and no seat below 0.52. That’s the biggest accolade.